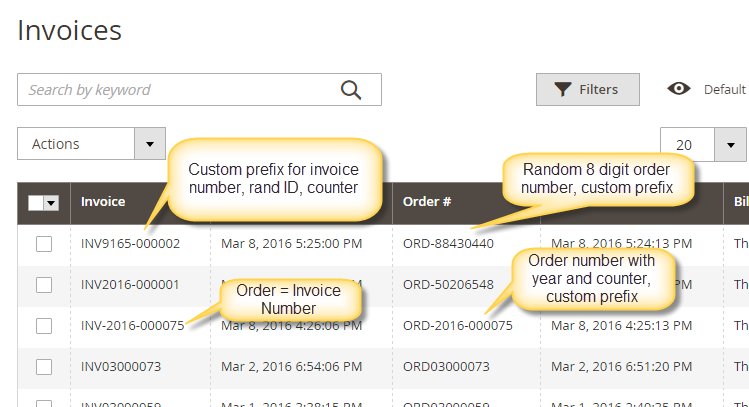 This extension allows you to customize all sales related numbers: Order numbers, invoice numbers, shipment numbers and credit memo numbers. 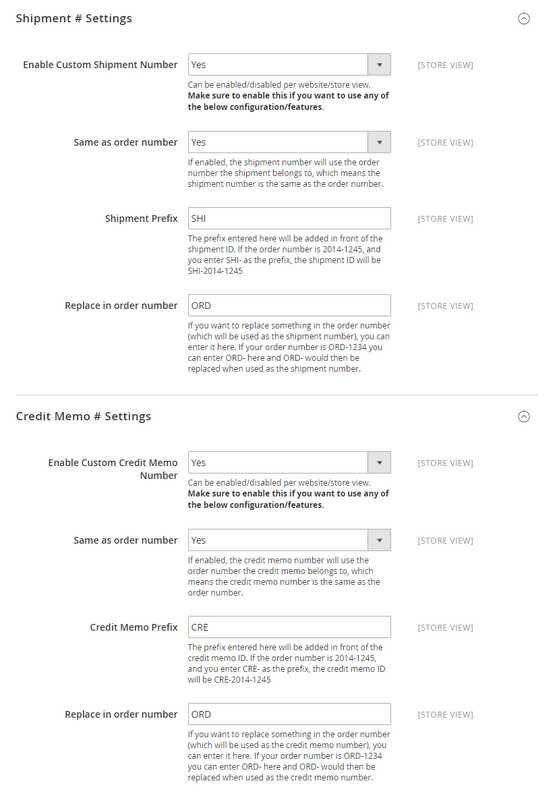 Change the number format to comply with local or legal requirements, or use the order number as the invoice/shipment/credit memo number to always use the same number for all transactions. Various variables can be used in the number format. A counter can be added which can be reset daily, monthly or yearly automatically. 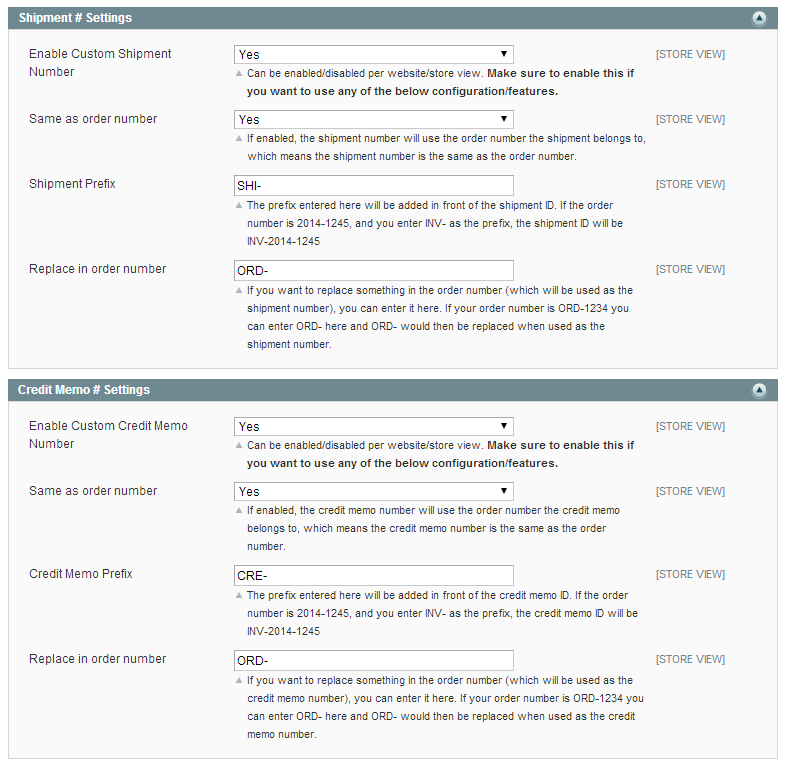 Using the "same as order number" feature, looking up invoices, shipments and credit memos will be much easier. The counter variable can be reset automatically. 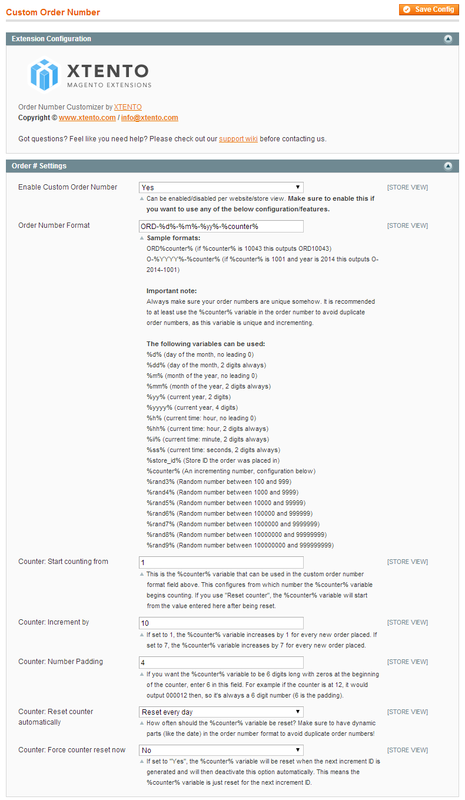 For example, set up a yearly resetting order number with the "year" as a variable in the order number. 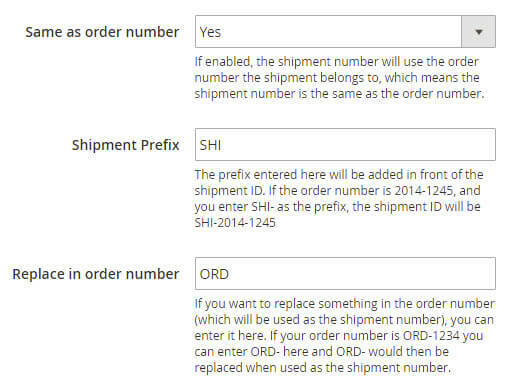 Set up order numbers in any required format. 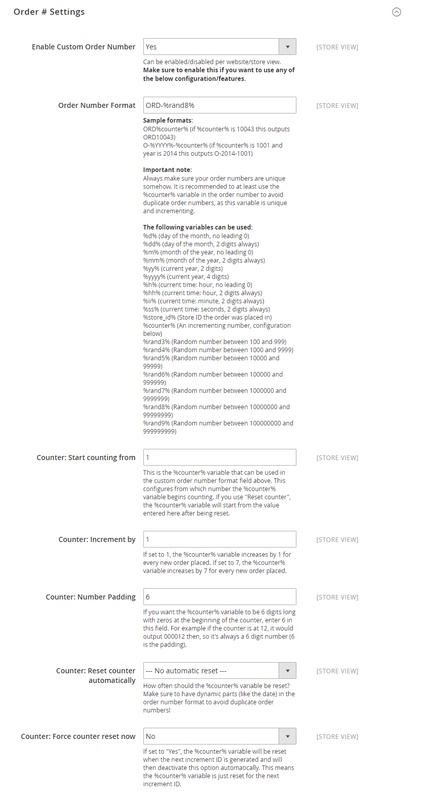 Various variables can be used: Counter, Date, Time, Store ID, Random numbers (3-9 digits), see below for full list. 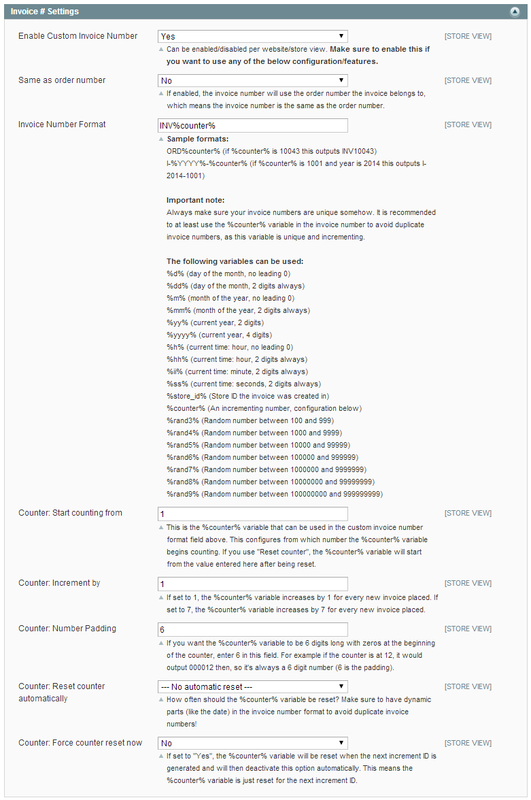 Supports custom increments: Increment order number by 5 with every new order, for example. Got multiple stores? 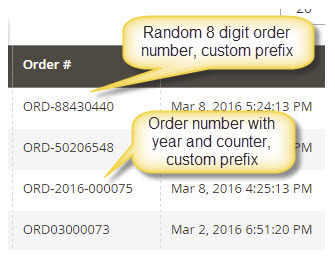 You can set up different number formats for each of your stores. 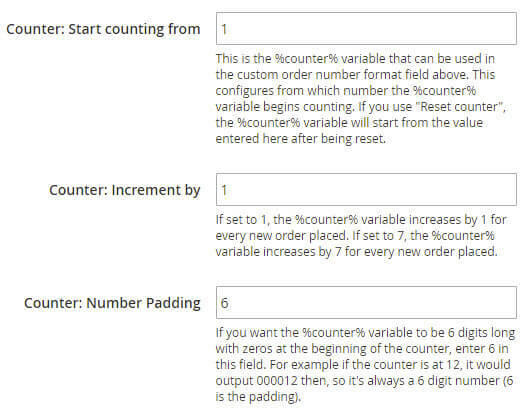 Easily specify different counters for each of your stores, or you can also set up a "global" counter which increments across all stores, so you have fully incremental order numbers. Ideas for new variables? Contact us before your purchase, we'll be happy to discuss. Works as expected, well done! Easy to install and works as expected! We have installed this extension in our multi store so that we can give each store a unique Order Number and Prefix. The extension works perfect and has many configuration options. + Added ability to refresh configuration cache after ID generation to avoid "Configuration cache has been invalidated" warning. See configuration > Developer Settings.